Finally! 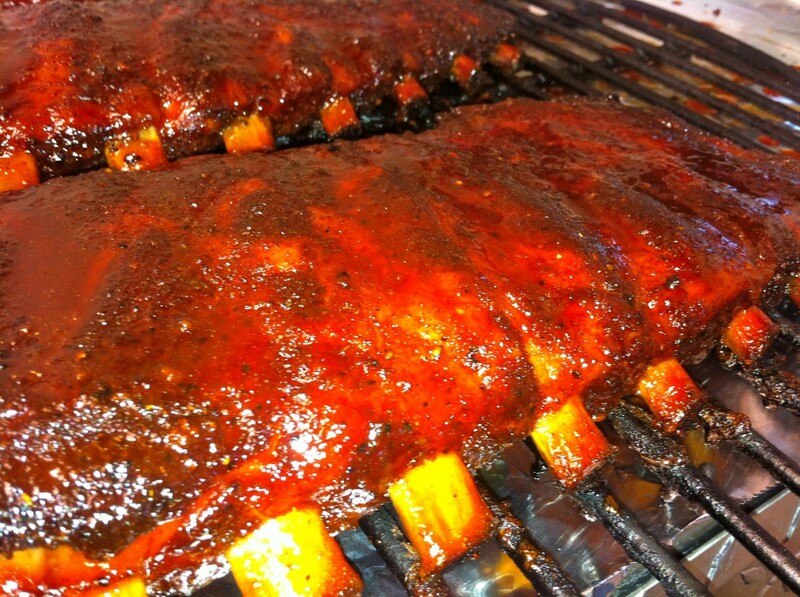 We are back to getting some rib calls! “I think I found our trailer” was all I heard as Erin rushed into the door over the 4th of July weekend. It’s no secret that we have been jealous of everyone with a dedicated competition trailer, and many people have heard us complain about not being able to store our RV at our house which has been a point of frustration for us for a very long time. We had a dream list of what we wanted in a custom trailer and we had not been able to find one that met all our needs to include being built on a compact 20 foot frame. This new find had nearly everything we wanted, it was used which meant it was about 1/2 the price of having one made. After many discussions, phone calls and Facebook messages, we were headed to pick up our new trailer ……… In Louisiana! It was well worth a three day round trip of doing nothing but driving. Now we have a trailer, it’s time to get back to the competitions! All set up for our very first cook with the new battle wagon. We have been told for years, “You have to compete in Louisa, it’s beautiful down there.” We finally made it there this year and it was beautiful, but man was it HOT! Note the photo of the thermometer, yep, that’s 118 degrees. We decided not to take the new trailer with us because we would have had only a few days to make the transition from the RV; so we were cooking in the sun as we have for the past few years. The ‘Virginia curse’ was still with us as we finished 19th overall out of 45 teams. We have yet to figure out why judges don’t like us in VA, but we will keep trying. Our category results were: Chicken – 22nd, Ribs – 23rd, Pork – 27th, Brisket – 7th. We were happy to get that brisket call otherwise it would have been another day of just watching everyone else get awards! Congrats to 3 Eyz for taking the grand and a special congrats to Pavone Brother’s BBQ on their first ever reserve grand champion placing! Look closely, yep, that says 118 Degrees! With our new ‘battle wagon’ prepped, the next weekend we headed down to southern Maryland to the beautiful St. Mary’s area. This was the first ever competition down there, but it won’t be the last. It wasn’t a full KCBS event, it was only a chicken and ribs competition, and that was the perfect time to break in the battle wagon. Mike did a fantastic job of organizing this and with plans for making it a full sanctioned KCBS competition in 2014, he’s certainly on the right track! We learned a lot about the battle wagon and were able to iron out the minor nuances of our cooking process while getting a couple calls and a 4th place overall out of a field of tough competitors. Tending to the ribs at St Mary’s Chicken and Ribs cookoff. 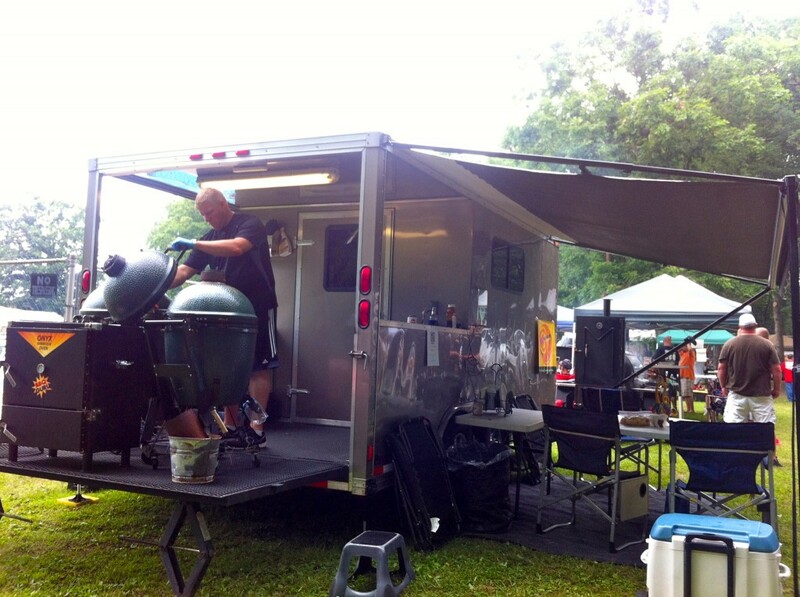 Our first full KCBS competition with the battle wagon was in Bel Air, MD. We have never competed in Bel Air although it has existed for 12 years now. We signed up soon after we acquired the new trailer knowing that Bel Air was infamous for cramming teams into small spaces. 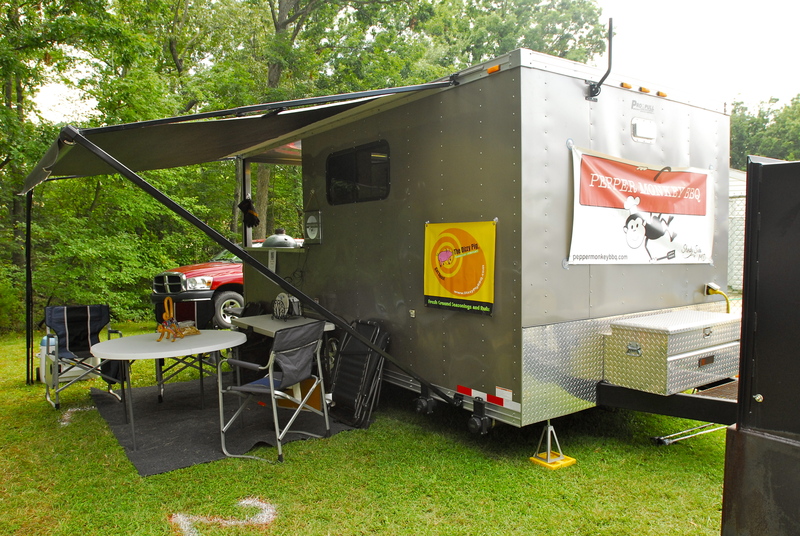 The new trailer allowed us to pull in and occupy a minimal amount of space and we were excited to see how we handled cooking all four categories with our new set up. They placed us next to our sponsor, Dizzy Pig, and 3 Eyz so we knew we were amongst some seriously competitive teams. 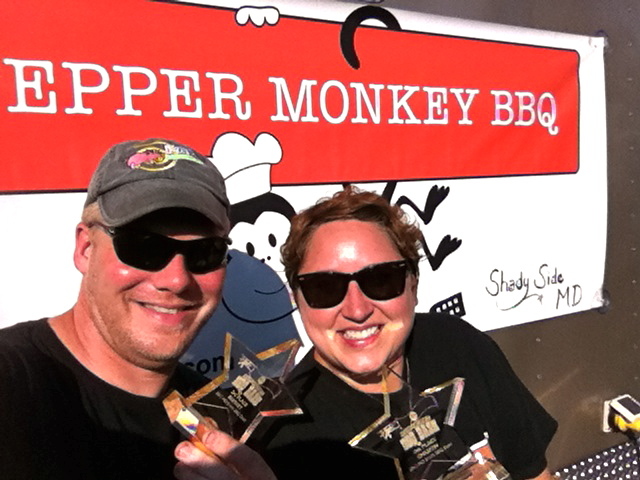 Things went well for us and we were thrilled to get a call in both chicken and brisket and to end up 3rd out of 60 teams! 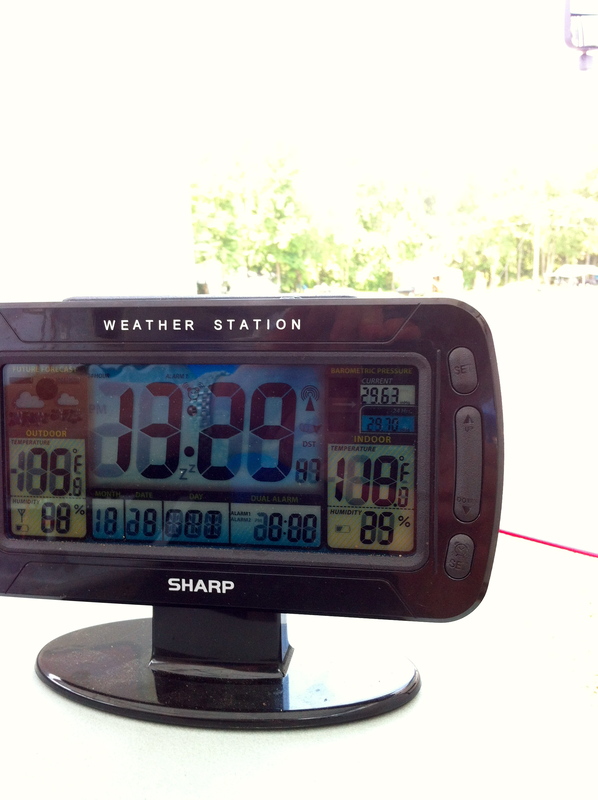 Congrats to 4:20 for their GC and to Firefighting BBQ Team for their RGC. Showing the hardware after finishing 3rd out of 60 at Bel Air. We went into week three of consecutive weekends of cooking by competing in the Sam’s Club National BBQ tour in Laurel, MD. Sam’s Club has a limit of 30 teams for the local events, then the top six from the local events move onto a regional event, then the Finale. Because of this bracket style set up and the high dollar pay out, it’s a popular event attracting the best of the best to compete with many left hanging on the wait list hoping for a chance to show their skills. We were able to get in as one of the 30 teams and the battle wagon proved again that it has really increased our efficiency. The cook went off without any real headaches, and after turn ins, we were packed and ready to drive away by awards time. Although we got two top ten calls in both chicken and ribs, that was not enough to get us into that top six that moved on to the regional competition. We still felt good about our scores and knew that we were cooking well, which left us eager for another competition. 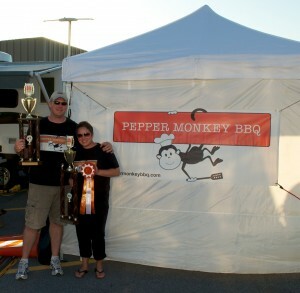 Congrats to the BBQ Guru for their GC and to Aporkalypse Now on their RGC. Hopefully we can put the battle wagon to good use as we move into the fall season and wrap up 2013 with some nice trophies and top finishes.